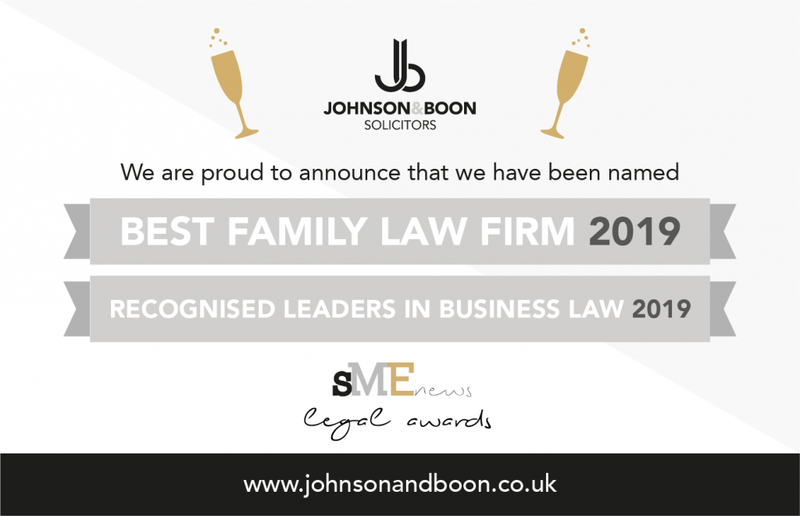 After a successful year for both clients and the firm, we are delighted to announce having won the ‘Recognised Leaders in Business Law’ & ‘Best Family Law Firm’ at the SME News Legal Awards 2019. We pride ourselves on offering the best client care and are delighted that the hard work of our commercial and family departments has been recognised. A massive thank you to the whole team, who’s hard work and commitment has enabled us to provide this level of service. We would also like to thank our clients who continue to support us by allowing our experts to help with their legal problems. If you need advice on any of our services please contact us on 0151 637 2034 or email info@johnsonandboon.co.uk & we will be only too happy help.